ElectronicKitSchool. - This is the popular and old the electronic circuit design and simulation software that called with Electronic Workbench or called with EWB. We think most of the student and the electronic hobbyist known about the EWB for more time and maybe this time they are still using this software. Electronic Workbench offer you many easy simulation for electronic project before you realization your project to real condition. In EWB there are many features that give you interesting to use and simulate many electronic circuit. Like other electronic simulation software, this software also provide you many virtual component and instrument to support your simulation. 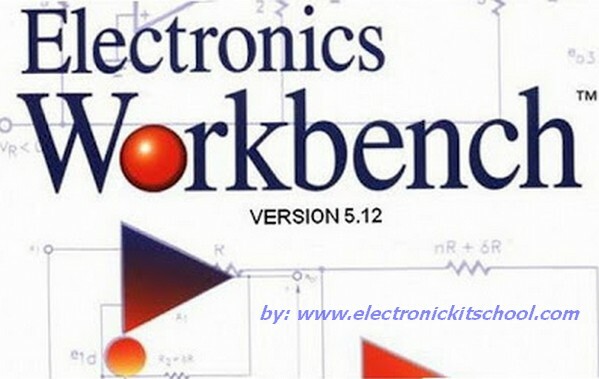 In this article we will give you global description about this software and then we will give you the many links to take free download Electronic Workbench (EWB) Version 5.12 Full for Windows Free Download. Beside that we also will give you simple instruction guide to install EWB 5.12 for your Windows system in your computer or laptop. The features of EWB software commonly as follows. Please follow all step below to get full version when you install this EWB5.12 for Windows after you download it. Firstly, extract the EWB 5.12 zip file after download. Click 'SETUP.exe' to begin installation. And now you can click the icon link below to continue download Electronic Workbench (EWB) Version 5.12 Full for Windows. There are some files that you show download.